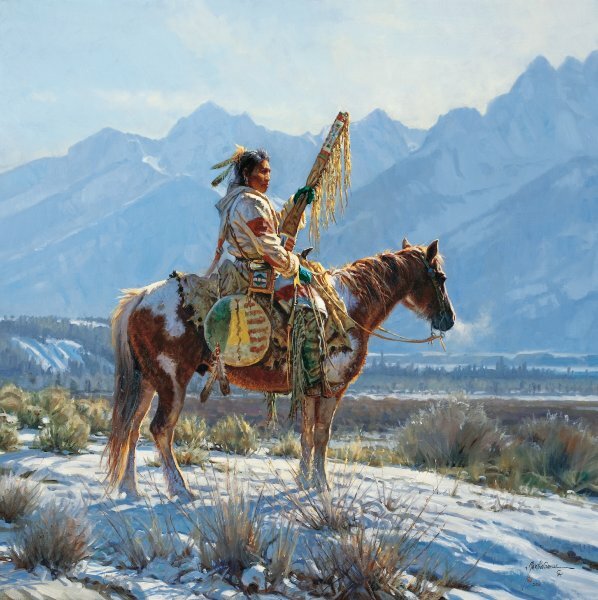 "Valley Guardian" is rare in that Martin Grelle does not often utilize a square format. This painting is exquisite in its simplicity - a solitary figure in a solitary setting. And yet there is so much more to the story. It is a cold, crisp day. Winter sunlight plays on the rider and his horse bringing out magnificent color. The responsibility is great as he guards his valley, but he is up to the task especially on a beautiful winter day.